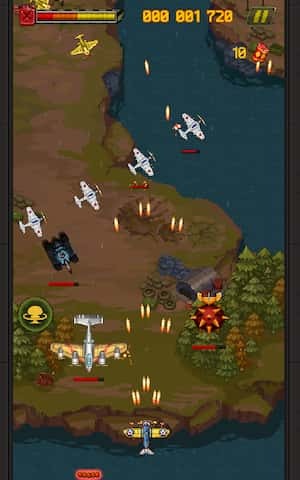 Even if you’re too young to have played an arcade game in an actual arcade, if you enjoy playing retro inspired arcade games, it’s well worth downloading 1945 Air Forces. 1. You’ll be able to shoot your targets from military planes and tanks. 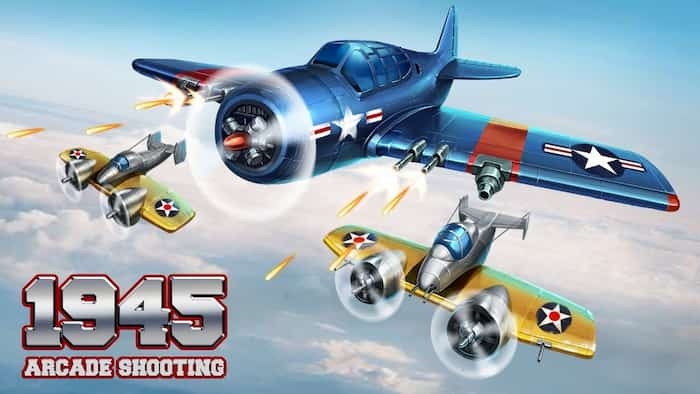 While in some levels you’ll be tasked with shooting enemy planes or bombing strategic targets on a map, by dropping bombs onto your targets, in other levels you’ll get to take control of military tanks. 2. You’ll get to fly over 10 different types of WWII planes. If you’re fascinated by WWII or aviation history, you’ll be pleased that you’ll get to step into the cockpit of at least 10 different types of WWII combat planes. You may even recognize some of the planes which you’ll get an opportunity to fly! You’ll even get to take part in sea based challenges, where you’ll be tasked with destroying military battle ships. 3. It features highly challenging bonus missions. One way that 1945 Air Forces differs from the original game is that it now offers bonus missions such as bombing missions, that will provide you with a real challenge. If you enjoy defensive missions, you’ll also get to play bonus missions which involve protecting a base. 4. There are multiple difficulty settings to select. If you’ve played arcade style shooters before you may want to set your game setting to hard, as soon as you download 1945 Air Forces. However, if you’re new to the genre you also have the option of selecting normal mode or easy mode. As you can always increase the difficulty of your game, once you have the hang of your game controls. 5. There are over 80 levels to beat. Don’t expect to finish all of 1945 Air Forces’ in a single week as there are currently over 80 levels to complete. Better yet, the further you progress through the game, the more challenging the levels which you’ll face will get. So don’t feel too bad if you have to repeat a particularly difficult level, multiple times. 6. It features fun, retro inspired graphics. 1945 Air Forces is a fresh take on a game series which was originally released in the 90s has been heavily stylised to look like a retro 90s game. However as 1945 Air Forces is a modern take on the original game, you can expect the game’s graphics to be superior to the original game’s graphics. 7. There are milestone achievements to unlock. If you’re looking for a challenge, why not challenge your friends to become the first person to unlock all of the game’s milestone achievements? 8. There is an international leader board to climb. 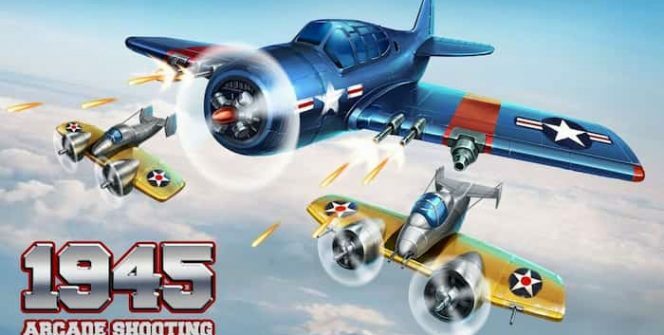 If you become addicted to 1945 Air Forces’ gameplay which is simple to pick up but hard to master, you may want to try and climb the game’s international leader board. As 1945 Air Force has a huge following, making it onto the top 100 list, will be a challenge and may take a few weeks. So whether you’ve played the original 1945 Air Forces game or simple enjoy playing military inspired shooters, it’s well worth downloading 1945 Air Forces on your PC. Sometimes when playing 1945 Air Forces, bluestacks ask you fee to pay but gives you option to download some apps. Every time it asks you just select “Install apps” and continue using it free. I hope you enjoyed this article, please rate and share. If you have problems running 1945 Air Forces on your desktop or any other issues, leave a comment below.